Sometimes life gives you lemons and it's hard to make lemonade, you know? 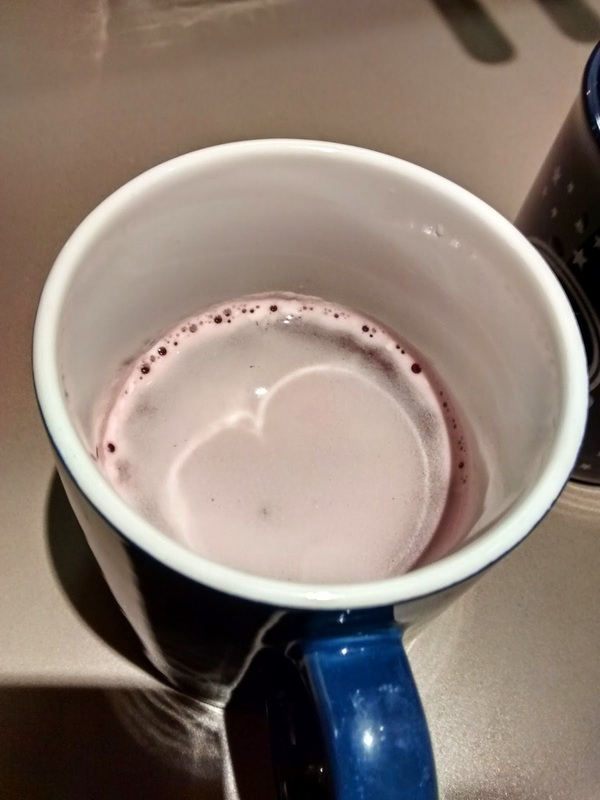 I'm a sunny optimist under usual conditions but this week a confluence of a cold and life's buffeting had me down and out. 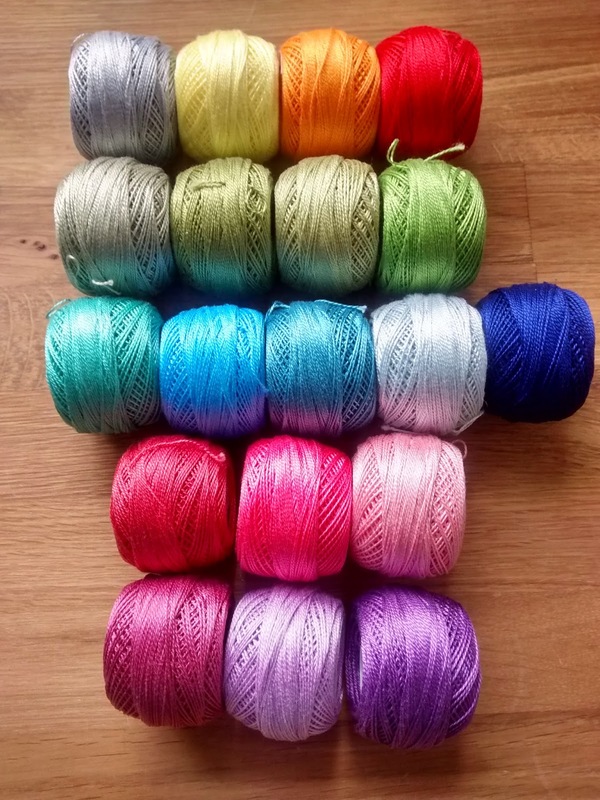 I now have SOOOOO many WIP's on the go and I just don't know where to start! 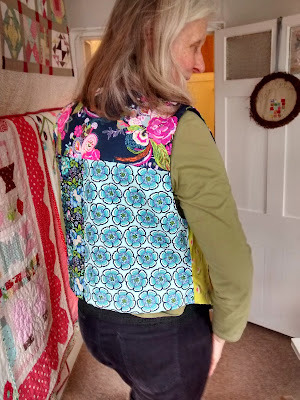 I thought i'd share some as i haven't written about my sewing for ages, but now there is *soooo* much of it I feel justified in filling a blog post with pics of my work instead of other peoples! 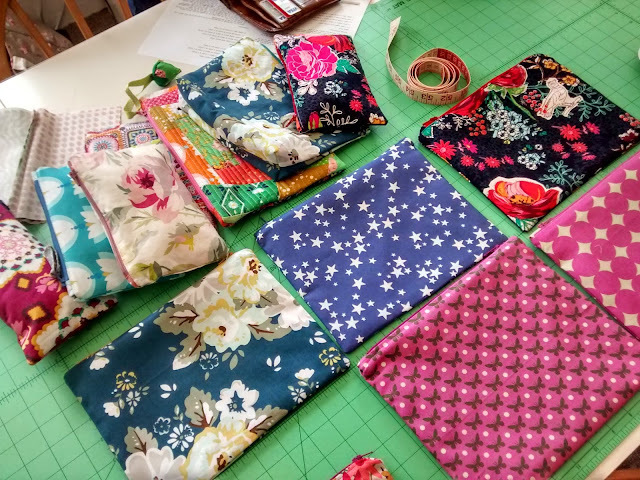 I see so much amazing work come through the Workroom that I always want to pack the blog with pics of what everyone else did! 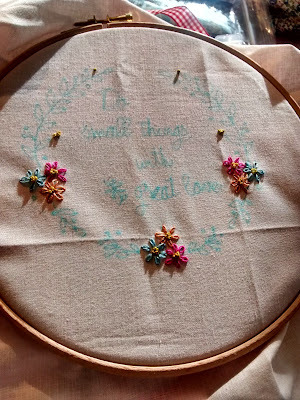 Inspired by my little foray 'behind the desk' as a student at Victoria's Embroidered Needlebooks class I decided to try my hand at a floral embroidered wreath. Vic suggested this one and I was away. 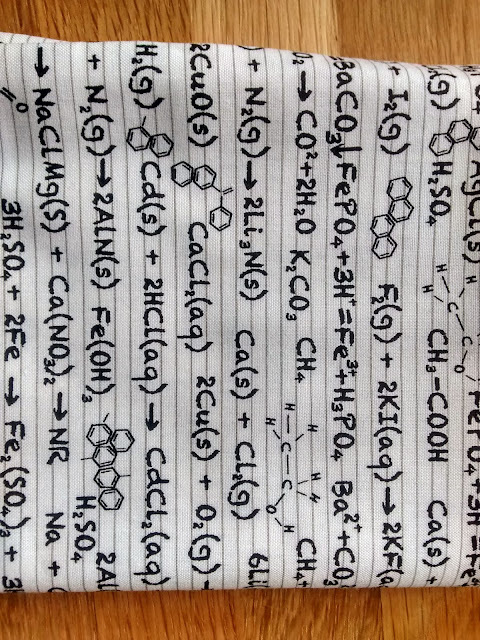 I have *soooo* loved doing this! 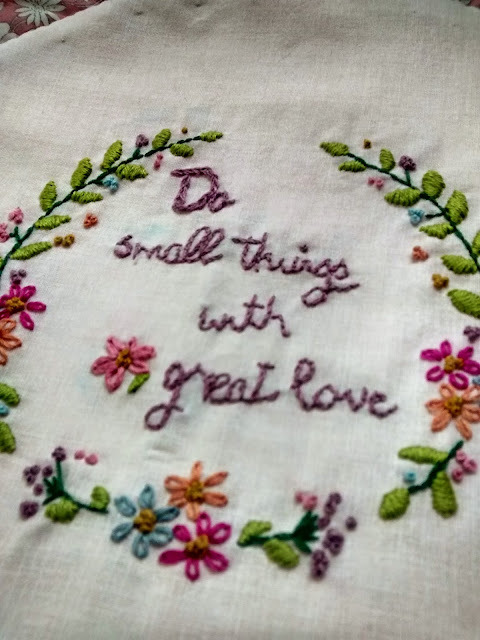 It's been very relaxing and I'm ridiculously proud of it. 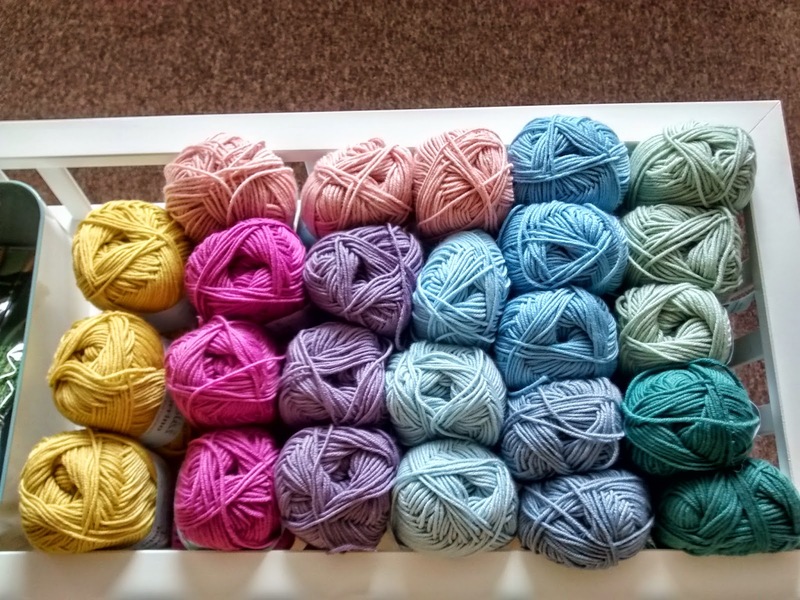 I decided to make it the centre of a Dresden Plate and now i'll hand quilt it, probably in one of these amazing perle colours and turn it into a cushion I think. 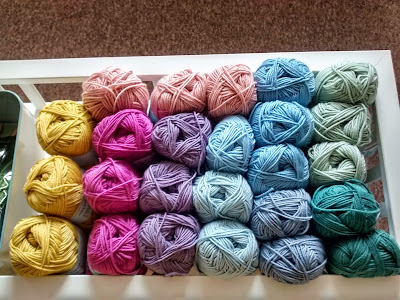 I couldn't resist hanging about in the doorway of the sell out 'You Are My Sunshine' Class last week and it was only a matter of time until I talked myself into having a crack at that pattern too..I've marked up the fabric and chosen my colours...woo hoo. 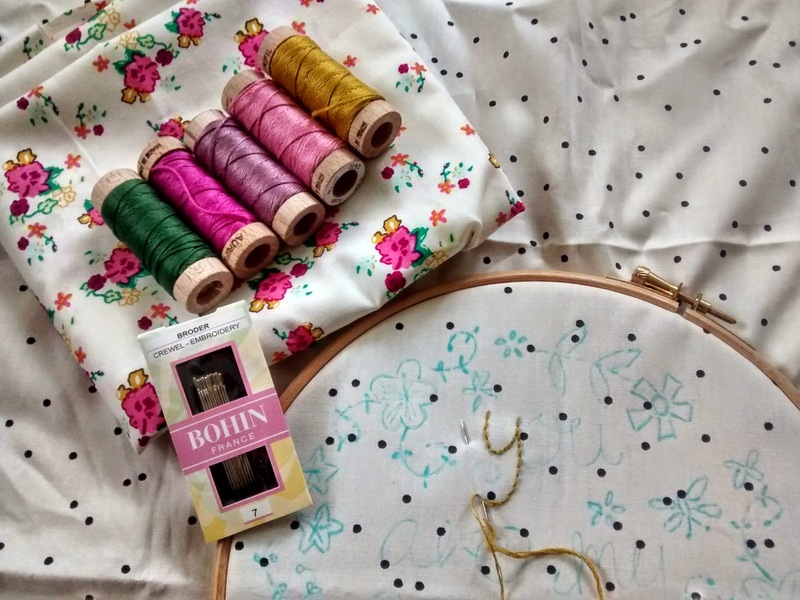 Last weekend in the pre coldy flu adrenaline rush I decided I couldn't wait another day for the hotly anticipated Heather Ross Tiger Lily fabric to arrive ( not due til August all, it's a long wait yet! 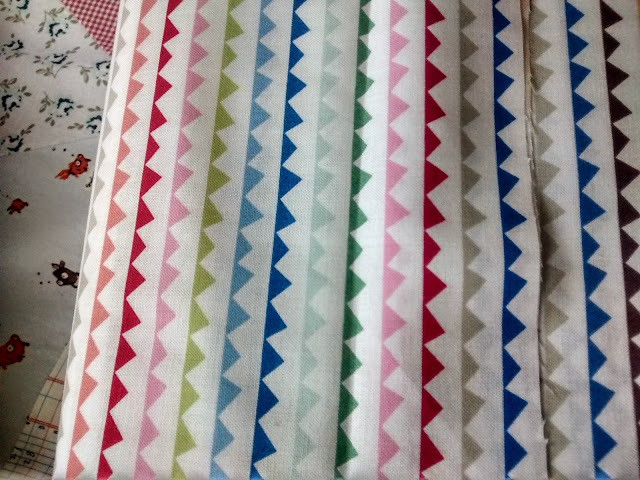 ), so i drafted up my own version of a pattern using equilateral triangles similar to the quilt that has been appearing in all their publicity by Carrie Along Quilts ( which we also have on order for August too!). 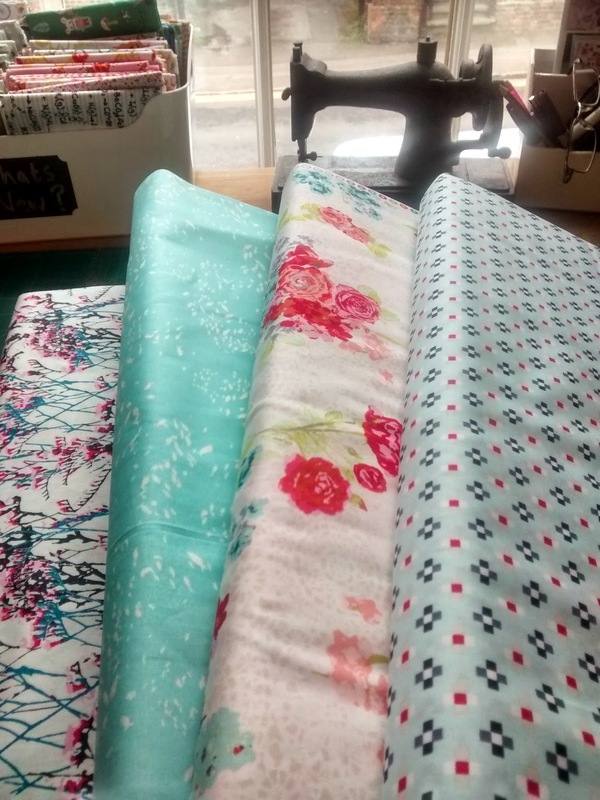 I dug out all my last bits and scraps of Heather Ross fabric that is almost at an end now after 3 children and 12 years. 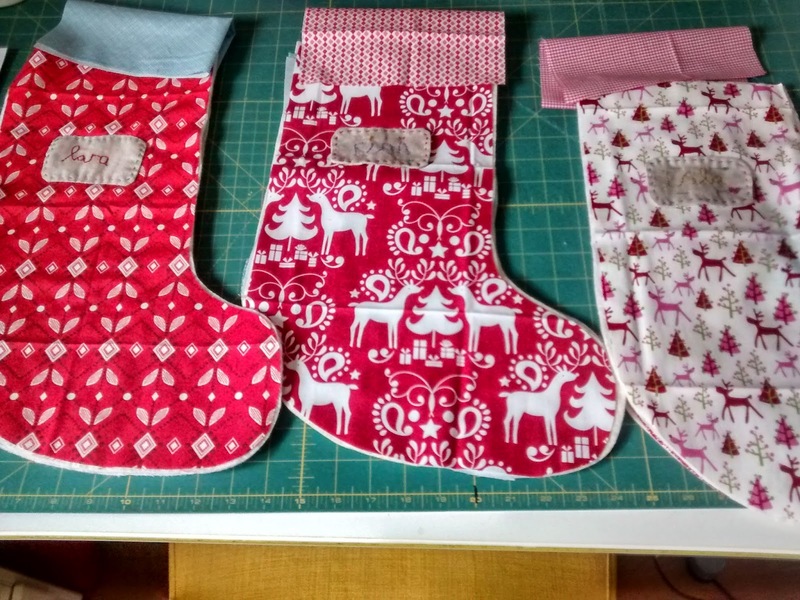 I added in all sorts of other favourite fabrics and started cutting and sewing. Sometimes this kind of 'quilt-in-a-day-sewing' is just what you need! 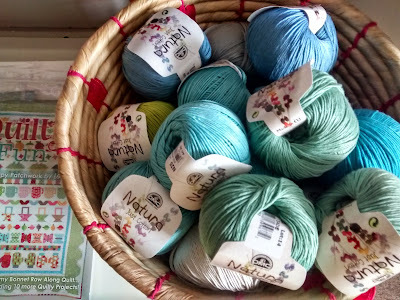 Today I was at the wholesalers who import the Heather Ross fabric and they very kindly gave me some little bits of Tiger Lily which I will have at the shop after half term. 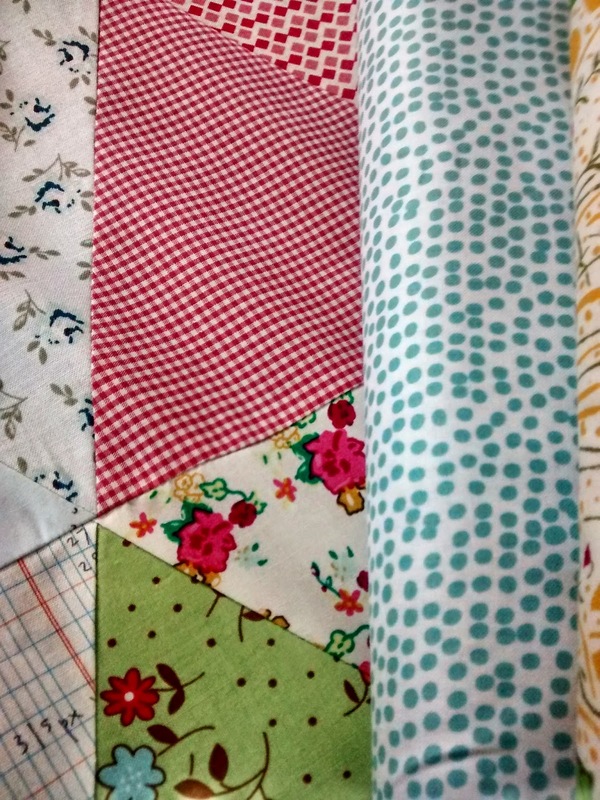 While I was there I picked out these lovely fabrics to go with my quilt - whoops - I mean to sell in the shop! The bunting is by Maude Asbury and the yellow frogs and the skinniest bolt of old Heather Ross that I found hidden under a pile of fabric bolts in the corner of their warehouse...I can literally sense that fabric nearby - It's my super power! I also picked up a lovely bolt of the newest Flurry - except its a new reversy percy range ( not what its actually called, obviously) - very useful for appliqué backgrounds etc and a lovely teal colour - in the shop next week. Another new fabric this week was this gorgeous range Cultivate by Bonnie Christine for Art Gallery Fabrics. 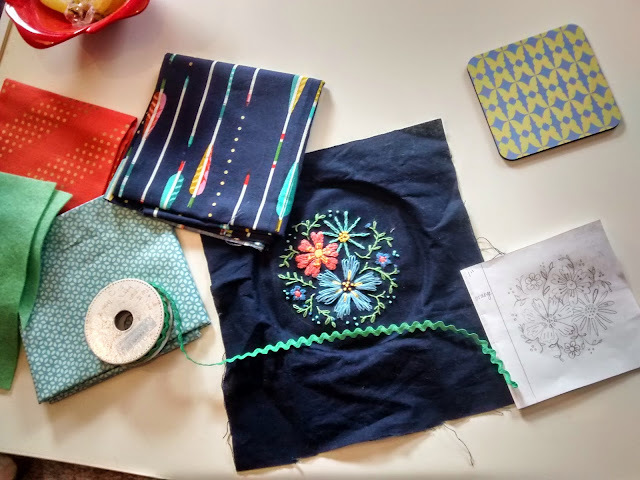 This colour combo of teal,brown and mustard has been calling to me and I planned a quite complicated EPP project for the class that starts in a couple of weeks. In the end i decided to keep it simple and stick with lovely big hexi's. 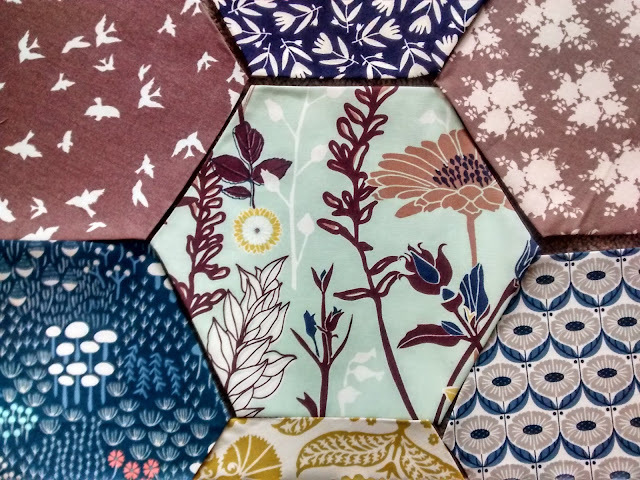 When life gives you lemons, make hexagon patchwork... I might get a T Shirt! We also had another lovely range Skopelos by Katerina Roccella and this fantastic chemistry equations fabric for anyone who has a sciencey person in their midst! 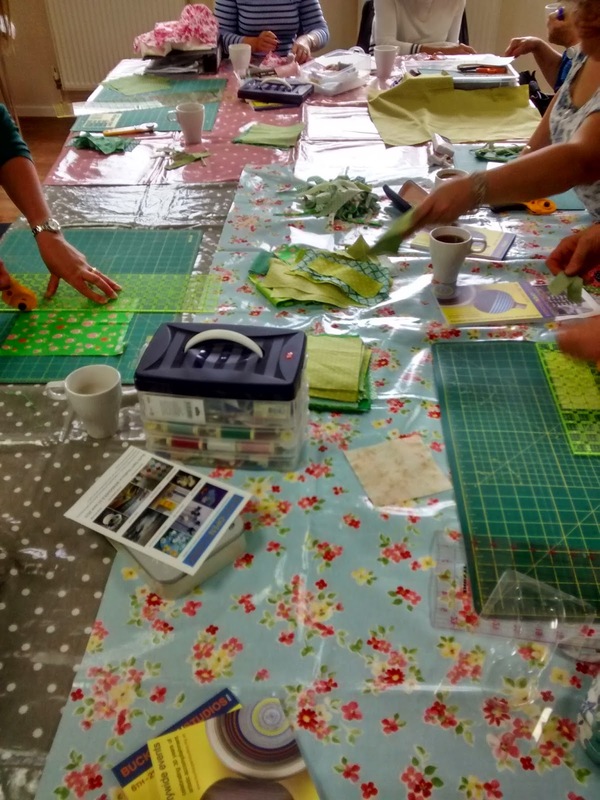 This time of year when the sun is shining ( hopefully) and we are all out and about outside we try and pack our schedule full of fun, fast one day classes with 'make in a day projects'...or 'sew in a deckchair' projects. A great 'first' sewing machine project for 10 - 15 year olds. Spend a morning making a length of bespoke bunting for your bedroom and build your confidence using the sewing machine at the same time. This class is suitable for kids moving up from Miss Stitch with some sewing machine experience, but they do not need to be confidently sewing aided - this class is heavily tutored to get them happy using the machine and sewing. This is a perfect summer sewing project. It looks really complicated but is lovely and straightforward to put together under Claire's patient tuition. 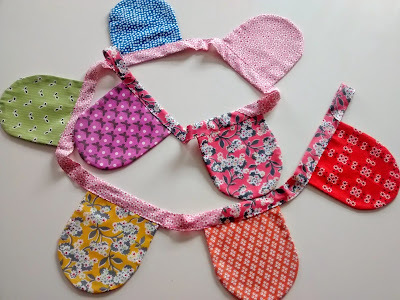 Its a hand sewing project and it's a scrap buster too, a fun technique to make pin cushions, cushion covers etc. 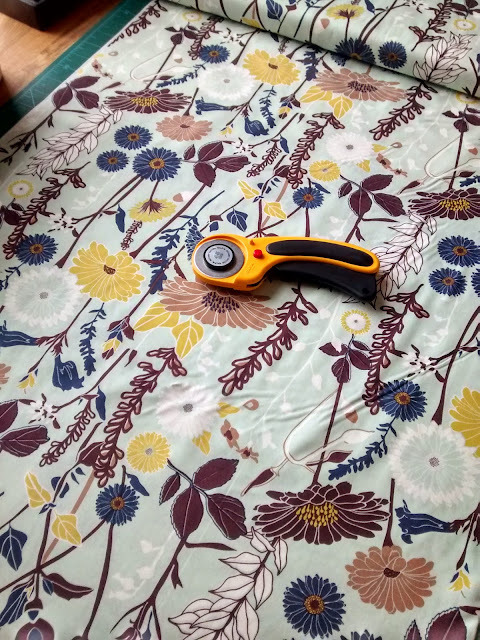 This is my summer sewing of choice. 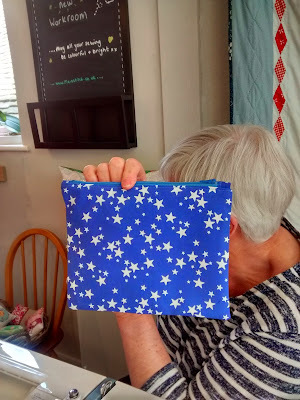 It's portable, it's hand sewing, it can be as big or small a project. 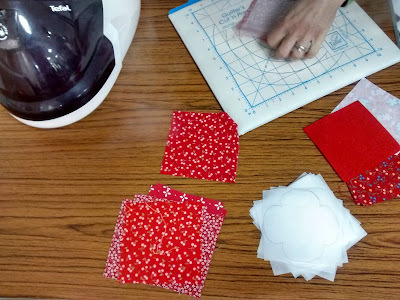 Make a quilt, make a cushion, learn how to draft your own patterns or try out one of ours...from wagon wheels to rose stars or stick with a classic hexagon.....for new to EPPers up to experienced EPPers wanting to try a new pattern or sew with a group. If you are working or looking after little people during the week, sign up for our baby quilt in a day. 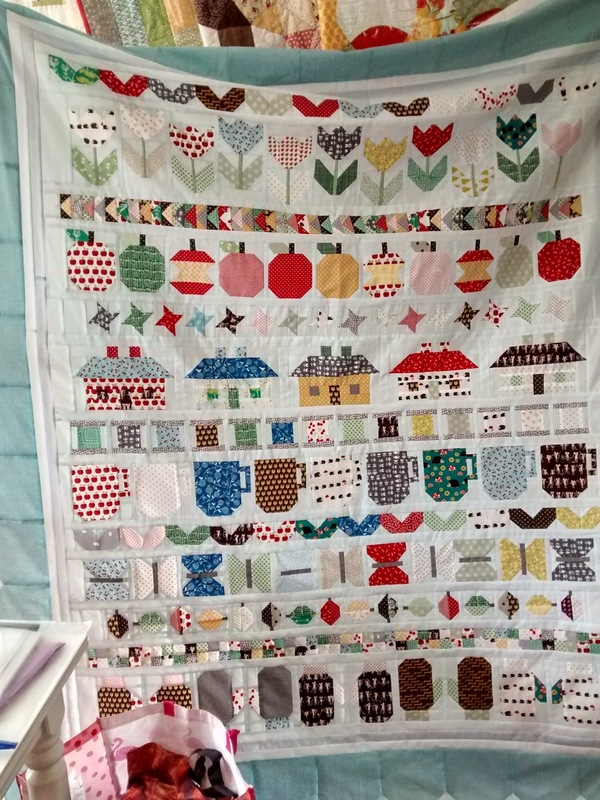 You'll make a baby sized quilt, but much more than that, you'll learn the basics of machine sewn, rotary cut patchwork. 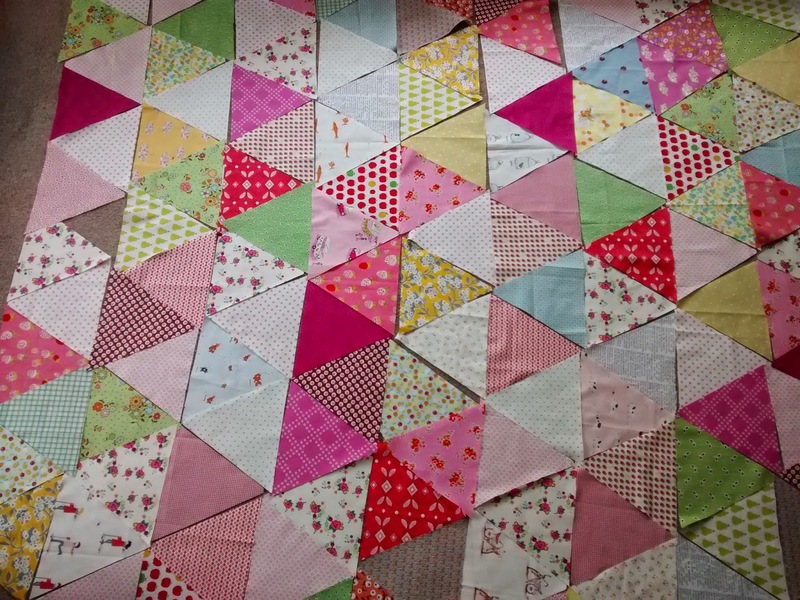 You'll make a baby quilt in the day but you'll go away with e skills to make a bigger quilt...or lots more baby quits! 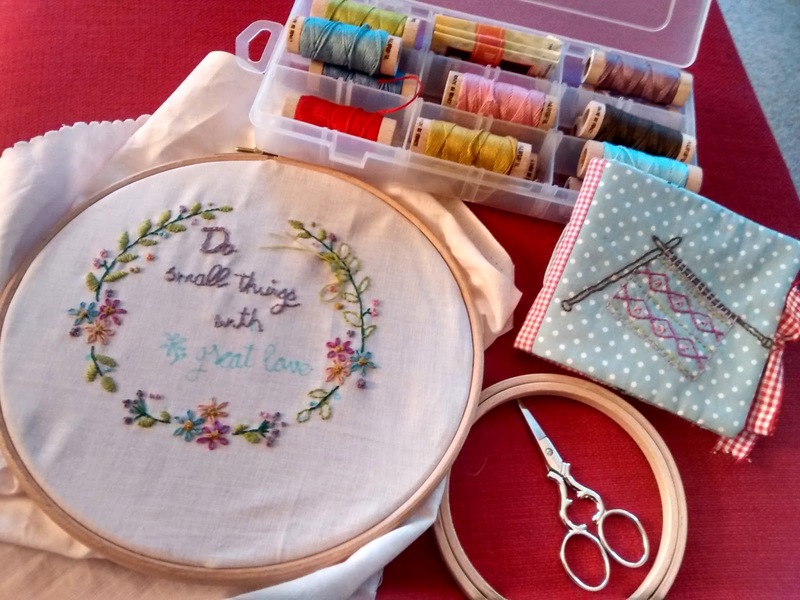 Our popular free motion embroidery class returns for an extra slot. So many people have enjoyed exploring a totally creative sewing skill on Claire's sell out class this year. Don't miss out on the fun, come and learn how to throw the rule book of sewing out and embrace a fantastic technique. 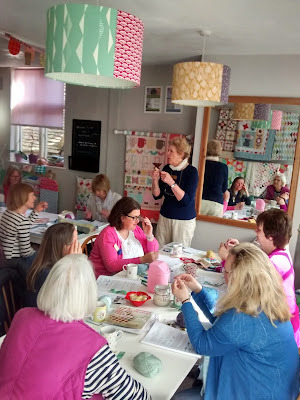 This class is aimed at Novice Crochet graduates...come along and spend a day consolidating your crochet skills with Penny. 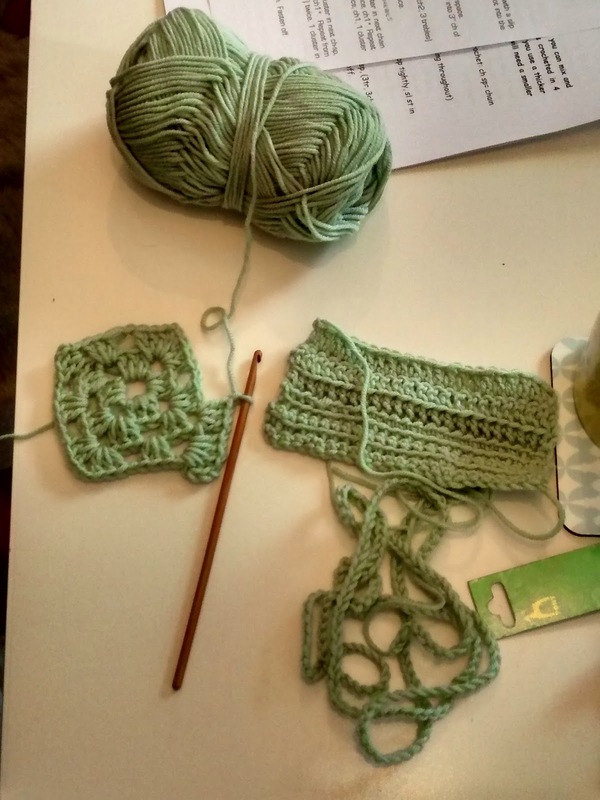 In this personalised class we will move your skill set on to get you crocheting confidently, or help you troubleshoot any issues. This class is aimed at Novice Knitting graduates...come along and spend a day consolidating your knitting skills with Penny. In this personalised class we will move your skill set on to get you knitting confidently, or help you troubleshoot any issues. This week has been such a creative explosion. 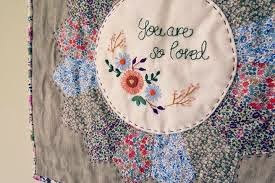 New projects: We are kicking off a new 'You Are My Sunshine' Embroidery class...can't wait for that..! Old projects: We reached the end of our Bee in My Bonnet Quilt class after 9 months of productive making......amazing quilts getting made in this class, we'll start it again in the new year if you fancy making one. 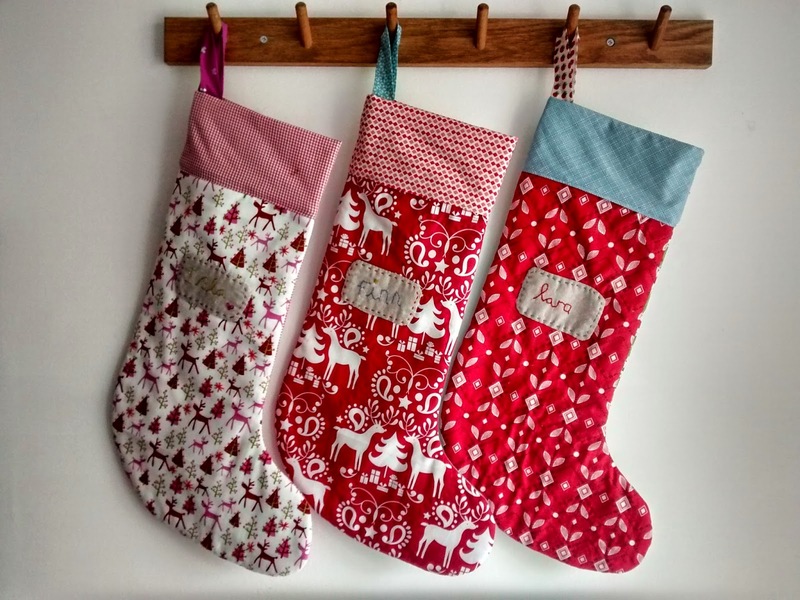 I've been making Christmas stockings, I know, get a grip, it'sMay! They're samples for a class in Dec...it's definitely not too early to book in for this class, it's getting busy already! 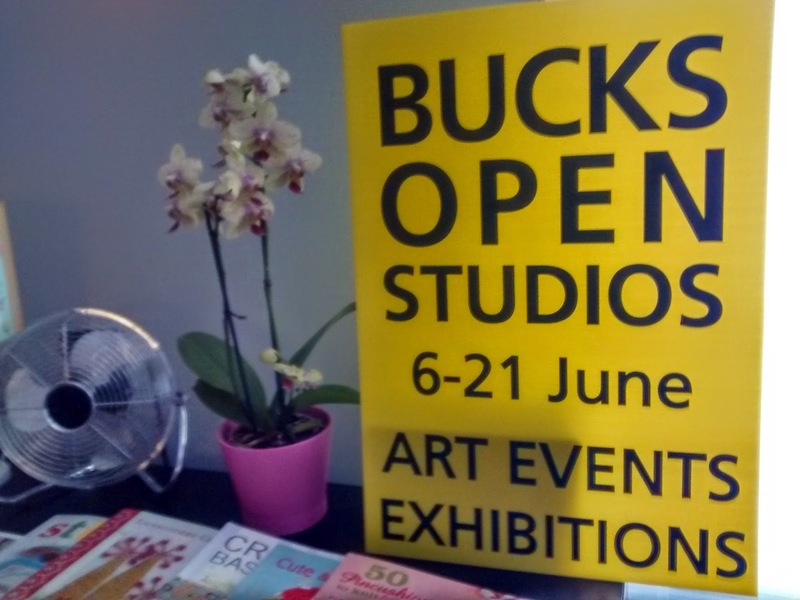 We are deep into the preparations for our Bucks Open Studios event from the 6th to the 13th June. 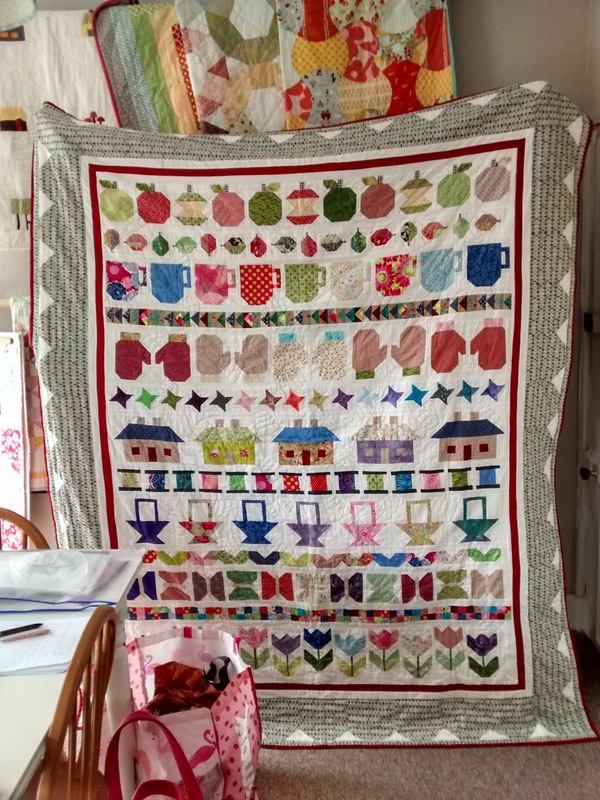 We will be opening the studio to visitors and showing off our quilts. Pop in and say hi and tell your friends and family to come by. 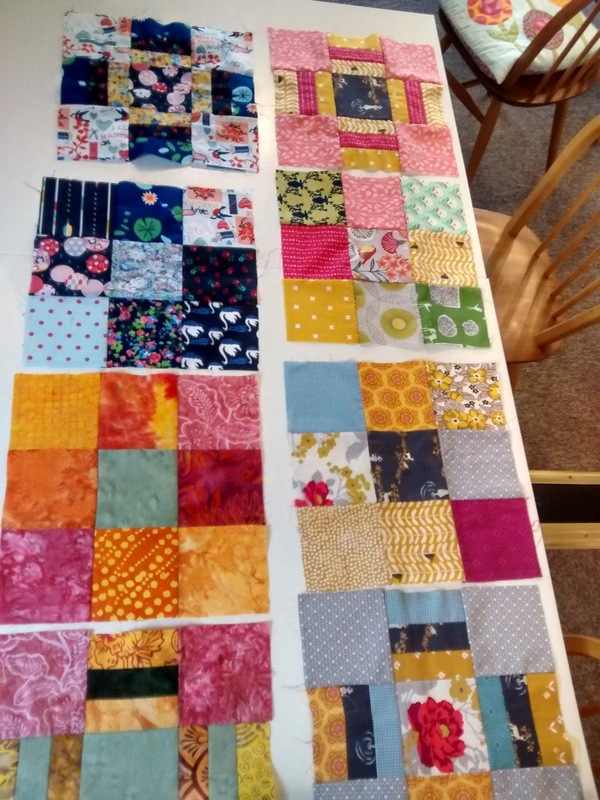 This month our Modern Appliqué quilts are well under way with some gorgeous blocks being sewn...we're starting to think about sashing so we should soon have finished quilts to hold up...LOVE Modern Appliqué..this class runs as an evening class this Autumn. Today we took bags and bags of lovely quilts to The Quilters Guild Region 7 Spring Area day in Wendover. We heard fabulous speakers, made more than 300 cups of tea and served so much cake...then I did something I've never done before. 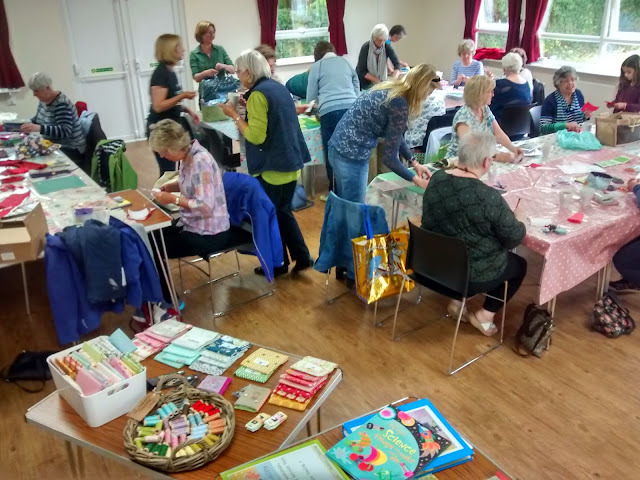 Gee'd on by my wonderful PlainStitchers and encouraged by the rather wonderful Pauline Latham I stood on a stage and showed lots of lots of my quilts and other peoples wonderful quilts and talked about PlainStitch and why I love to Quilt. It was both terrifying and exhilarating and we had such a phenomenal response by people in the audience. It seems I need to get over my self consciousness quickly as my quilts will be 'on display' again next month when we open our Workroom for Bucks Open Studios. 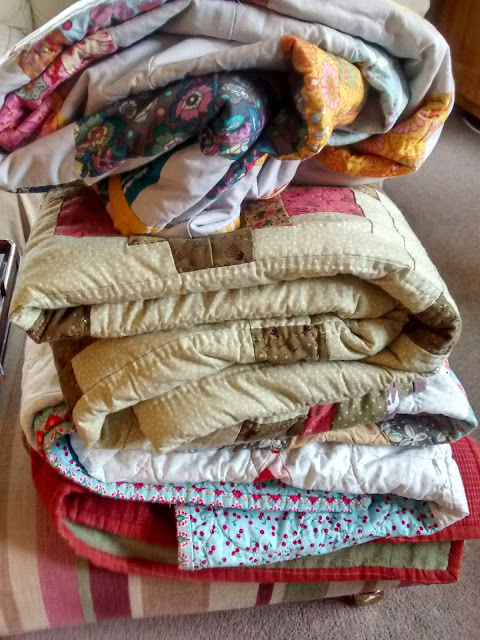 I'm pretty evangelical in my belief that everyone should make at least one quilt, and we are hoping to attract lots of art and craft lovers as well as fabric and quilt lovers to our workroom in the first week of June. 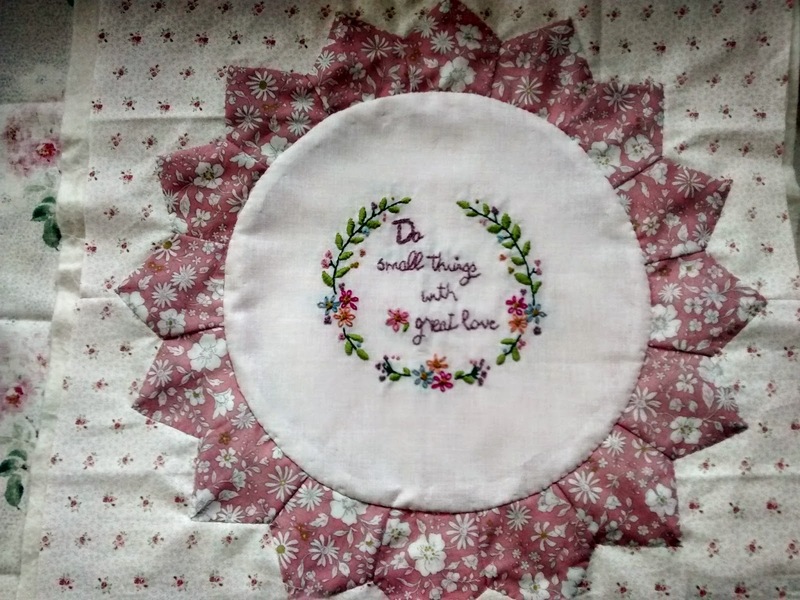 In the meantime if you'd like to see more of my work you can visit this page on the blog where I collect together pictures of lots of my favourite quilts over the years. 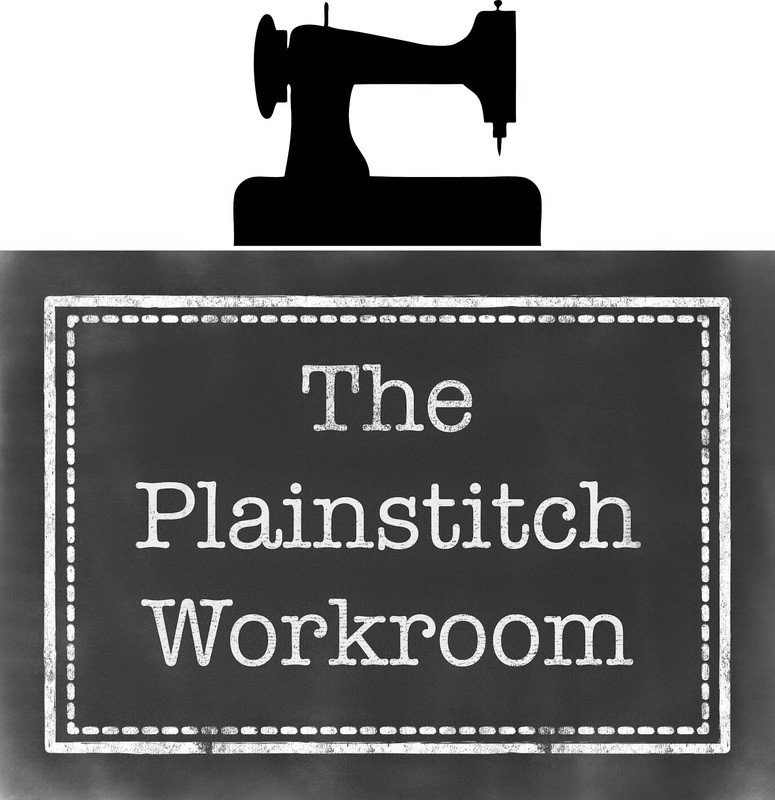 I love working at PlainStitch. It's such a joy to share the journey of creative discovery with all my lovely peeps . 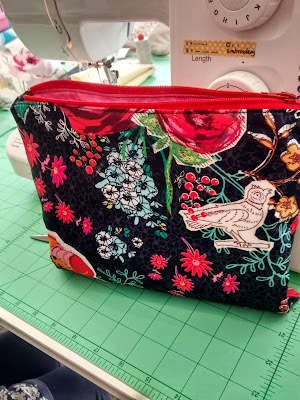 I get to show people how to master the basics in Simple Sampler and Get To Know Your Sewing Machine. They come back to the second Sampler class with their first blocks made and the pride and sense of achievement is fantastic. It's a warm and fuzzy moment for all! I watch the groups bond over their shared experience, then years later I watch firm friends and remember that they started their sewing journey, and their friendship, sewing a PlainStitch Simple Sampler. 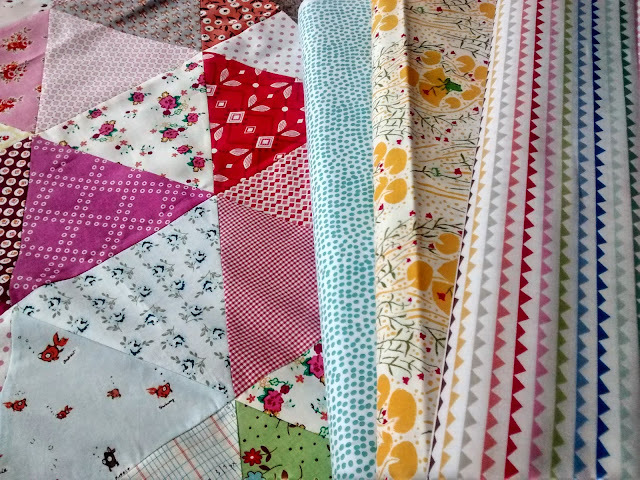 This Saturday we are attending The Quilters Guild regional meeting which happens to be in Wendover this year. 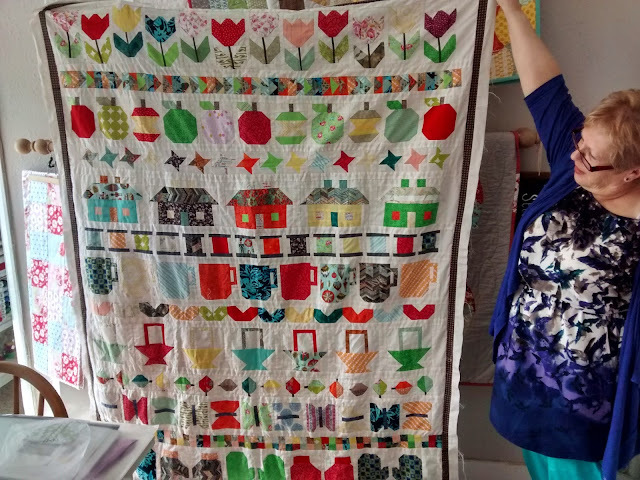 Lots of our PlainStitchers are coming along with their quilts to show and tell. I couldn't be prouder. We teach our students how to make a quilt, but not just one quilt...we teach them how to make their ideas real in fabric and stitches. I'm excited about sharing their fab work with the Quilters Guild. This week we've all been obsessed with embroidery...our new Aurifloss threads are much in demand, and inspiring so much fantastic work. 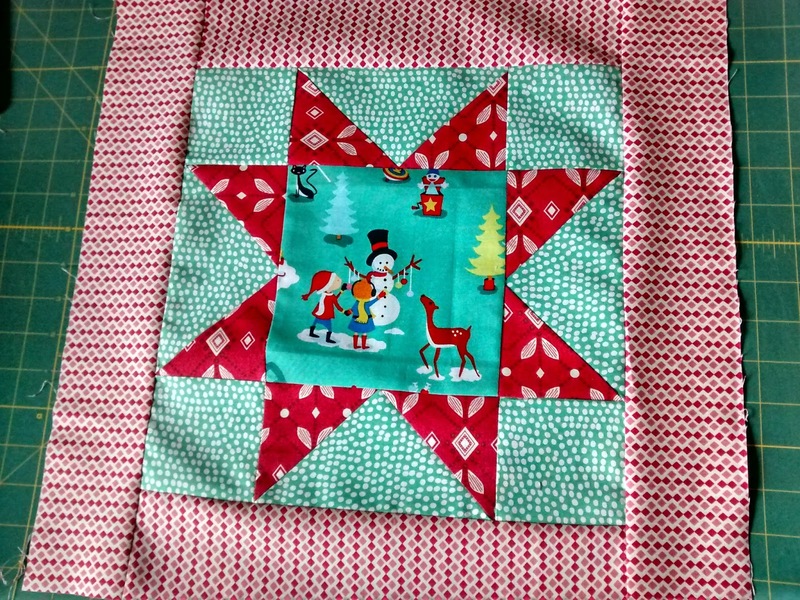 I've been sewing Christmas Cushions....as you do in May! Sue's been sewing up a patchwork waistcoat....so fab! I made Xmas stockings...I know...I'm sorry... the urge just hit...I know it's May, really I do! 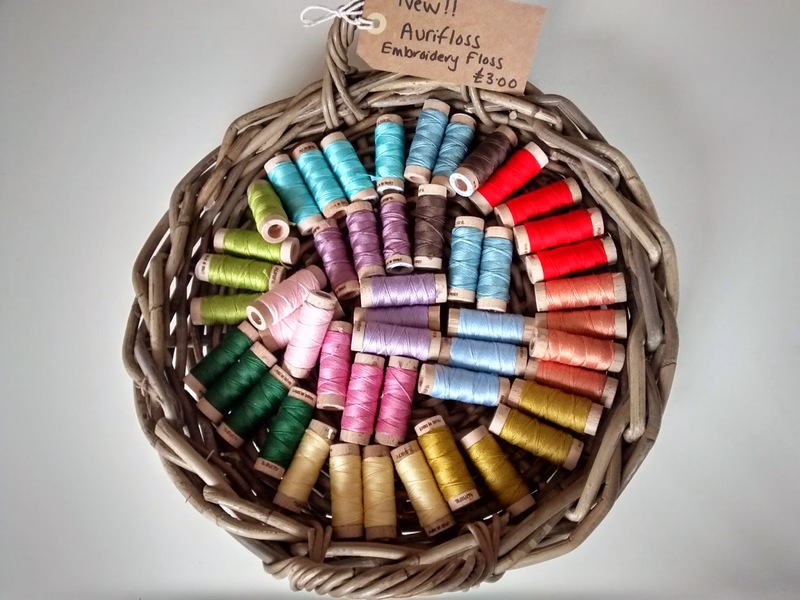 Claire made an amazing embroidery based on her Nan's Button Tin Pattern and inspired by our popular Cotton+Steel arrows fabric. Cute New! 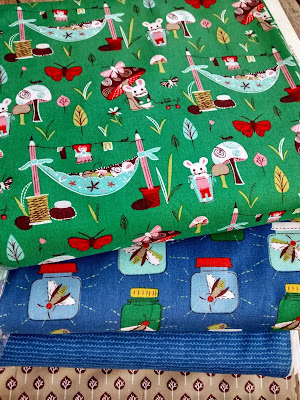 MouseCamp Fabric in the shop now! Our shophop loot was won by Theresa .....lucky girl ! Top of my list is this fab crochet roll that Victoria is teaching as a class next month. 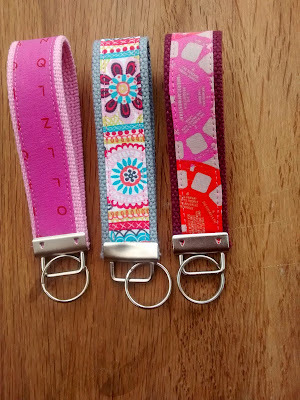 You can adapt the pattern to hold knitting needles, crochet hooks, make up brushes or colouring pencils.